Are the Seahawks really open to trading Richard Sherman? A longtime NFL exec thinks so. Could the Seahawks really be open to trading star cornerback Richard Sherman? They very well could be, according to longtime NFL executive Michael Lombardi, who now works for TheRinger.com and made that claim during a podcast posted Thursday — an undoubtedly provocative claim that quickly made the typical rounds of NFL social media. But as is often the case when it comes to the NFL and rumors and social media, the context in which it was said is important (let alone detailing what “the right deal” means). Lombardi threw out that claim in a discussion of the New Orleans Saints’ pursuit of New England cornerback Malcolm Butler, making the argument that the Saints might be better off simply trading for an established cornerback like Sherman, noting that the Saints want to emulate Seattle’s defense. What’s further interesting is that Lombardi doesn’t cite Seattle’s apparent willingness to entertain the idea for the reason many might think — the odd year Sherman had in 2016 when he had two on-field blowups aimed at coaches as well as an increasingly testy relationship with local media. Instead, Lombardi says the Seahawks might simply think trading Sherman would be the best way to free up what he says is some much-needed salary cap space. “Their cap is kind of a mess and they need to fix it,” Lombardi said. Sherman has two years remaining on his contract, with a $13.6 million cap number in 2017 — the second-highest on the team behind the $18.8 million of quarterback Russell Wilson; and $13.2 million in 2018, third-highest behind Wilson ($21.7 million) and linebacker Bobby Wagner ($13.6 million). Lombardi’s thesis is that cornerbacks are not really worth quite that much and that dealing Sherman would be the best way for the Seahawks to create cap space. “The corner is not really the most important player in their scheme, it’s the front seven,” he said. Lombardi also cites Sherman’s age — he’ll be 29 on March 30 — as another factor that could compel Seattle to consider a trade. Sherman signed his current deal with Seattle — a four-year, $56 million extension — in the spring of 2014 in the wake of the Super Bowl. Lombardi states Seattle was hesitant to do the deal then. What’s interesting about that is Seattle ranks only eighth in cornerback spending for 2017, according to OvertheCap.com, despite Sherman having a contract that on a per-year basis is the fifth-highest in the NFL. Seattle would move up to fifth in 2018 when not only does Sherman’s cap hit increase some but so does Jeremy Lane’s to $7.5 million (though just $2.5 million of that is dead money, which will lead to lots of speculation about the future of Lane depending on how the 2017 season develops). So while Seattle is paying its corners quite a bit, they aren’t the only ones doing so. But the idea that corners are overpaid in the defense is an interesting theory to maybe consider given the dropoff in production of the Seattle secondary in 2016 after the injury to Earl Thomas — did that prove it’s Thomas who is really the most valuable piece of the puzzle? You might not expect a team to ever admit publicly it was thinking of trading a star player, but for what it’s worth both Seahawks general manager John Schneider and head coach Pete Carroll were asked about Sherman and his future at the NFL Combine two weeks ago and each shrugged at the idea there was any reason to talk about it. Carroll likewise said he was confident the long off-season would allow Sherman to put his media issues from last season in the rearview mirror. 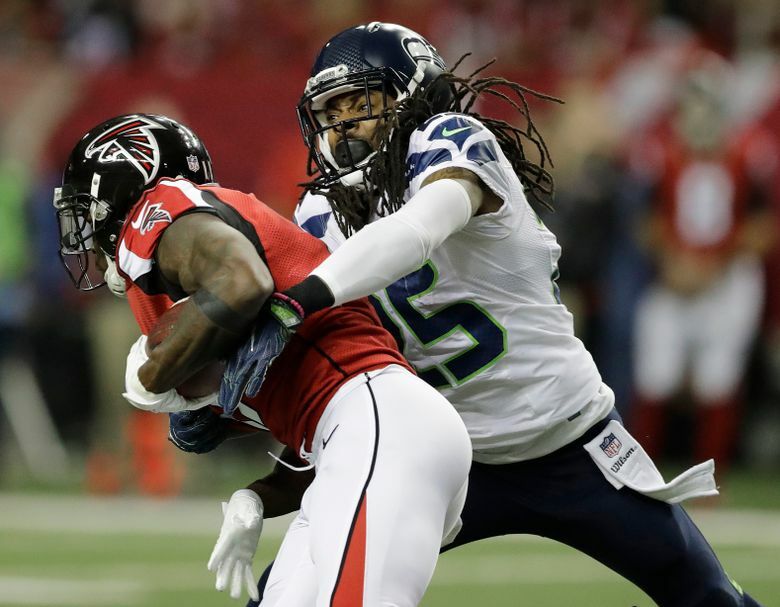 Will Seattle someday be in Sherman’s rearview mirror? While Lombardi’s statement is obviously attention-getting, he hardly seems to be saying anything to compel you to sell your No 25 jersey just yet.